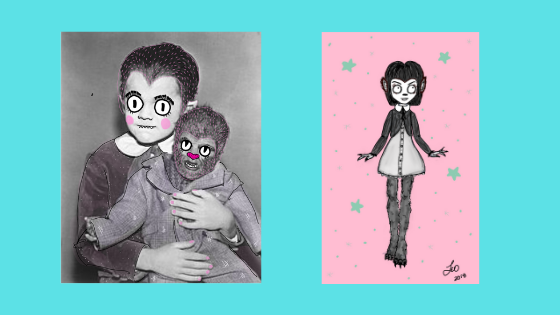 Check out the evolution of my Eddie Munster illustrations. Do you have a favorite? I like the Monster High version’s furry legs! From concept to illustration. The first attempts at drawing cutie Eddie Munster in my style. Check out these cute chubby Eddie stickers in the shop! Both face and full body versions are available. Chubby baby Eddie Munster stickers are ready for adoption.